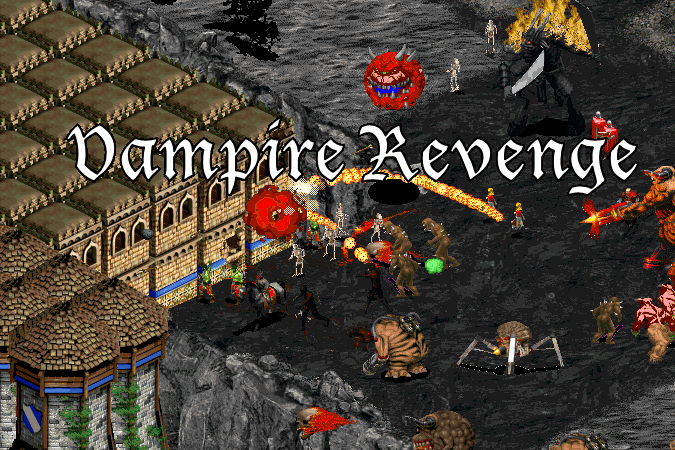 Vampire Revenge is an undead/demon themed, random map-based hunter/prey game with unique UP1.5 mechanics. Every player will start at the center with two villagers (vampires with two Servant). 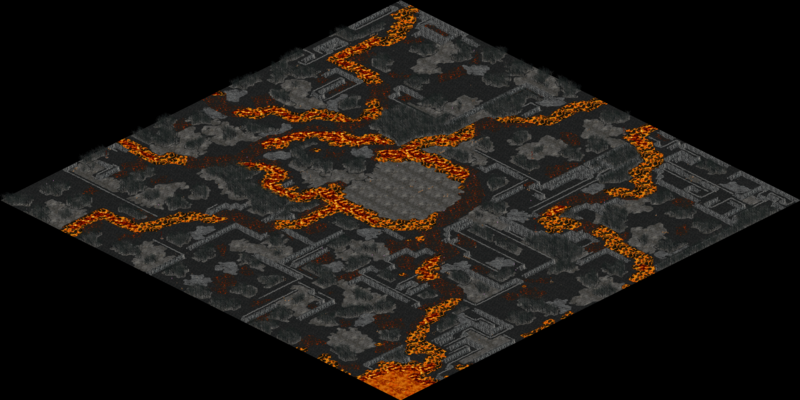 Lava rivers, dead forests, cliffs and haunted lands (with Tormented Souls) are everywhere. 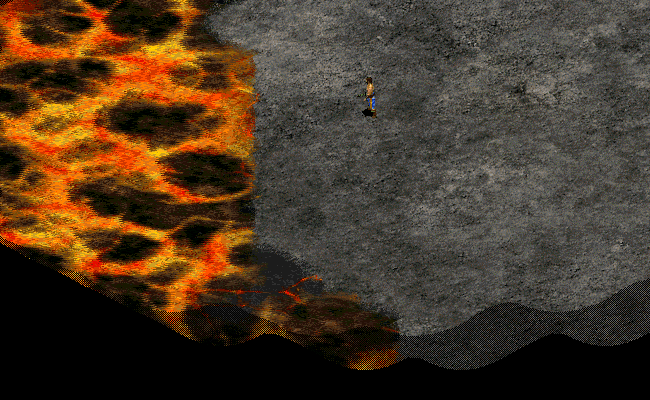 Many other gaia objects for vampires can be found like, Skeletons, Impaled villagers and Blood fountains. Humans should try to find a safe zone by cliffs or other terrains (forest may won't be a good idea), while vampire have to find them. You MUST use UP 1.5, or human resources won't work with many other map elements! 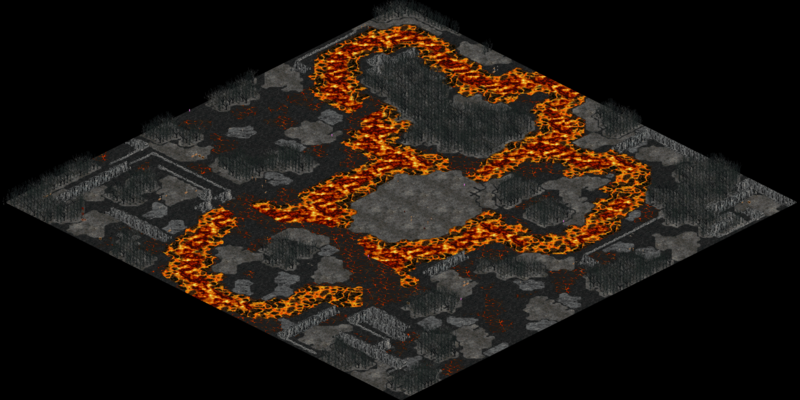 The mod also can function with any other random maps! 5. Map size is not just make the map bigger, but will increase the number of the food sources for vampires. 6. 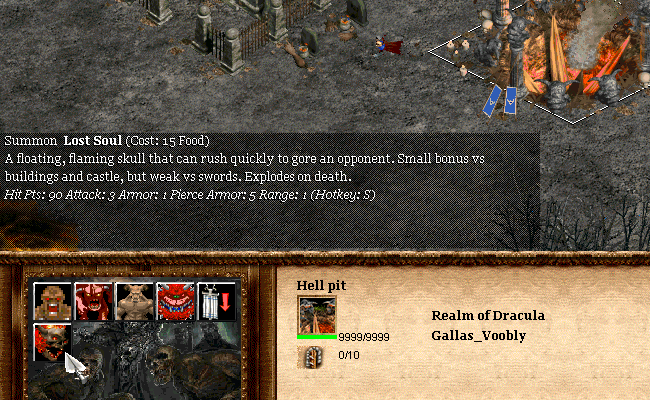 Starting resources makes the early game much faster, also indicates the vampire's rush factor. 7. If you don't want Wonder or Soul fragment win option, then you can set Conquest. 8. Player's colors don't have to be in numeric order! 9. Explored map help in both way. Humans may find base faster, but can be found earlier too. 10. Max pop can limit for both Humans and Vampires how many total units can have. 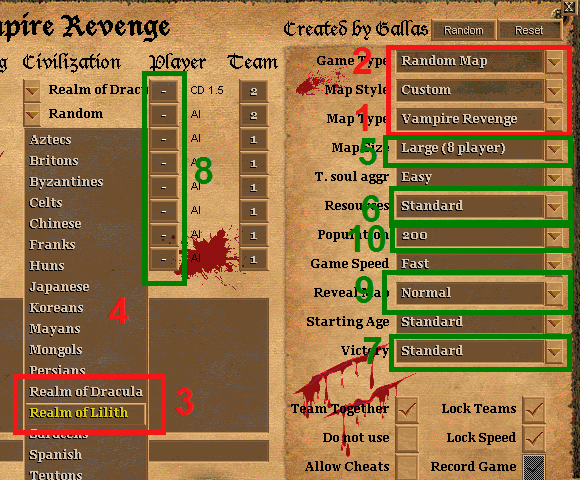 Vampire_Ai: You can select a specific Ai for vampire players. Make sure you pick the right difficult, because it adjust the resource-gathering speed of it. 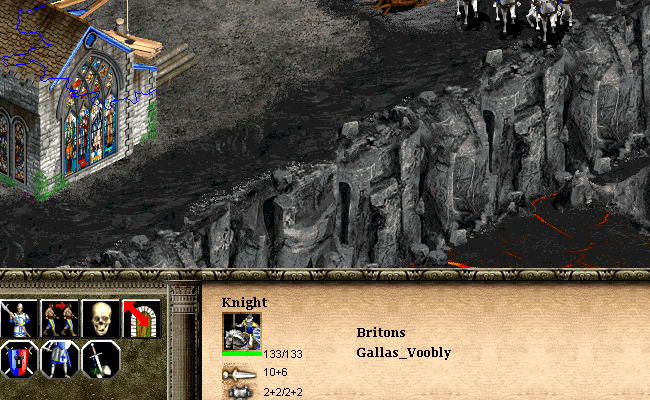 The Ai is not perfect, but can be an useful ally to explore or crush your enemy. 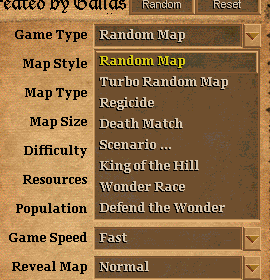 While Turbo, Regicide and Deathmatch is supported, other game types are not suggested to use. 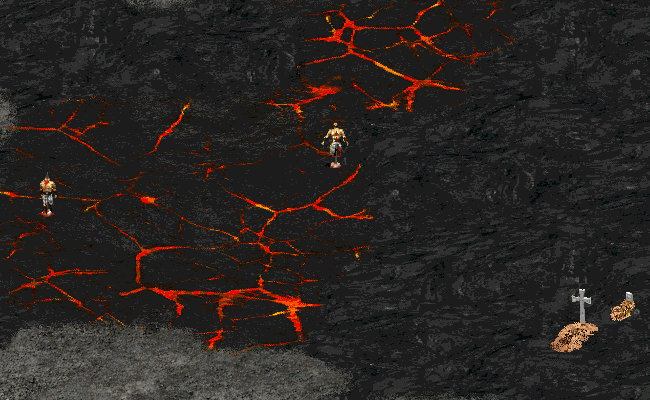 At start you will begin with two (separated) villager at the middle of the map. Try to go to a destination as fast as you can! Avoid Haunted lands! Tormented Souls are there and they can be a problem in big number! Build Lumber-camp, Mill and Mining Camp. These buildings are generating your resource by time. The more you have, more resource you get, but each building increase the cost of the next one. This price is reduced ofc when the building is destroyed. You should build some early defense and TC to age up. Keep in mind, you are not limited to two villager! 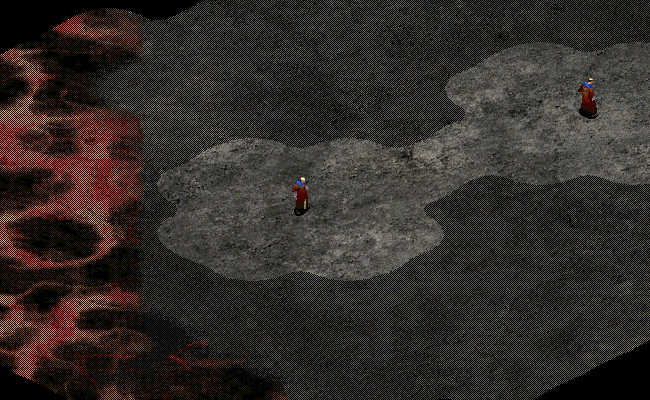 Most of the gaia objects what you will find are used by the Vampires. Try to stay hidden as long as you can, or you will be under unwanted undead pressure. Every civilization has it's own strength and weakness. Make sure you are familiar with them! 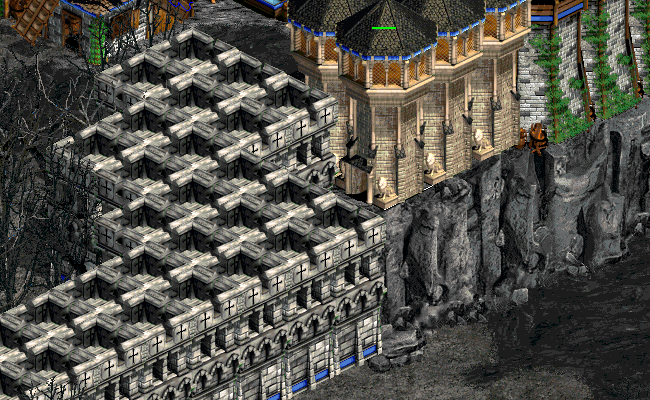 From Feudal Age you can build better walls and towers. 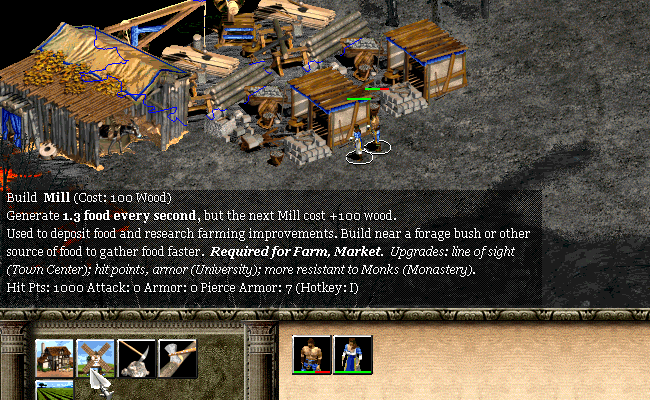 Don't forget, the LM/Mill/MC is an unlimited source for your resources! You can build as much as you want... if you can afford it. From Castle Age you can build monastery. 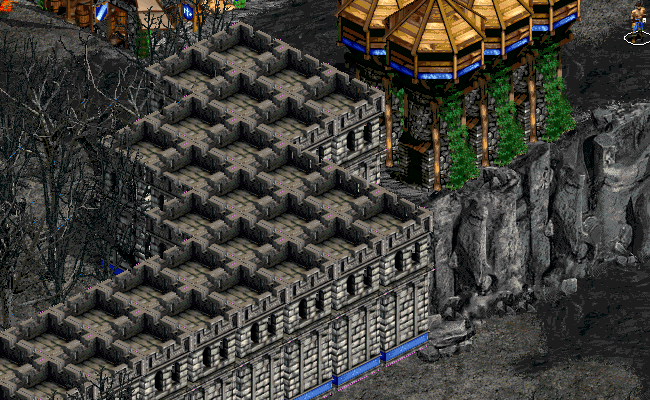 This building not just generate gold, but have important spells. These spells are working like technologies, but you can queue them and unlimited amount of use. 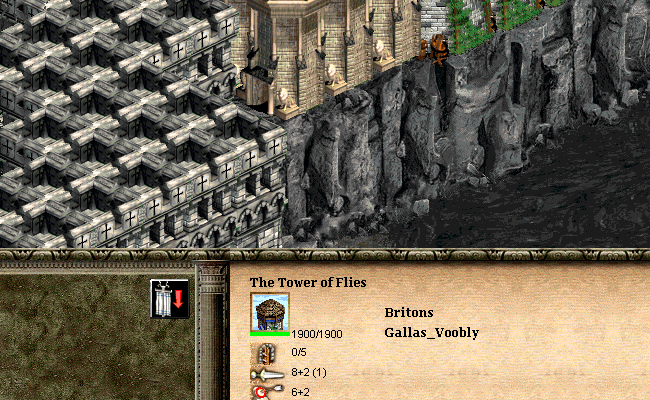 The Tower of Flies, while have short range, it has great attack bonus vs vampires. 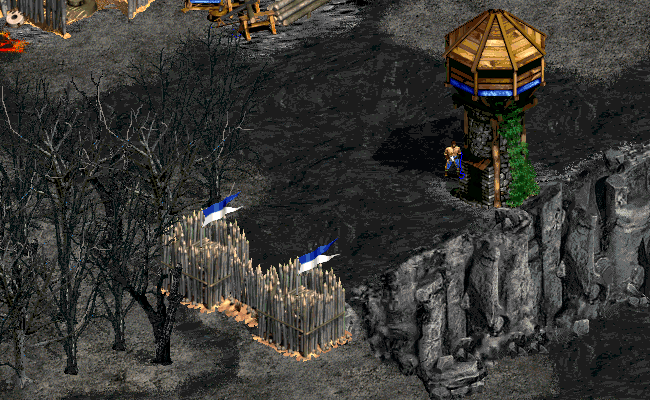 It should be always part of your defense. ...and offensive by your army. Keep in mind, the Monastery technologies are applies for all of your units and every vampire, undead and demon has it's own weakness and strength! For more info check the tech-tree. 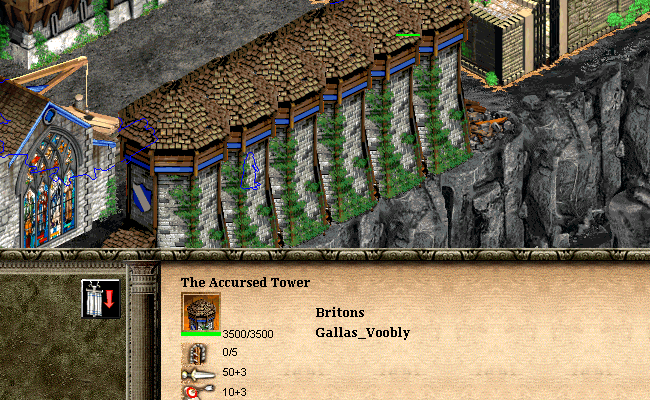 At Imperial age you can build The Accursed tower and Wonder, also one time your civ-specific unique Hero. Wonder also generates gold, and in Standard victory-mode it can give you the option to win by it. In short: Play kinda like you do with Jurassic. Find a good spot, build your LC/Mill/MC and create your defense. Make army or towers, upgrade and extend your base. If the pressure is too big, try to work in team, relocate, but most important: one villager can be enough to change the fight! You will start with two (separated) Servant. While they have a lot of health and armor, they are slow and small LoS. They have only one purpose: You can build 3 buildings with them, but each building can be built only ONCE! Try to make a good decision where you place them, there is no return once you are finished them. Once you are finished with all buildings, your Servants will sacrifice themselves. 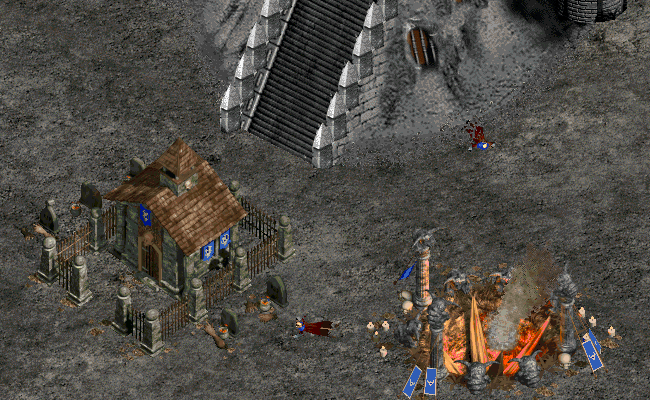 Your buildings are: Vampire Citadel, Graveyard and Hell pit. 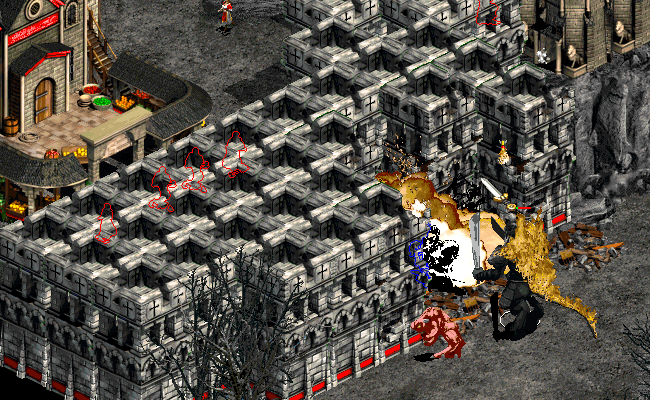 All building have huge health and armor, as they are not supposed to be able to destroyed. 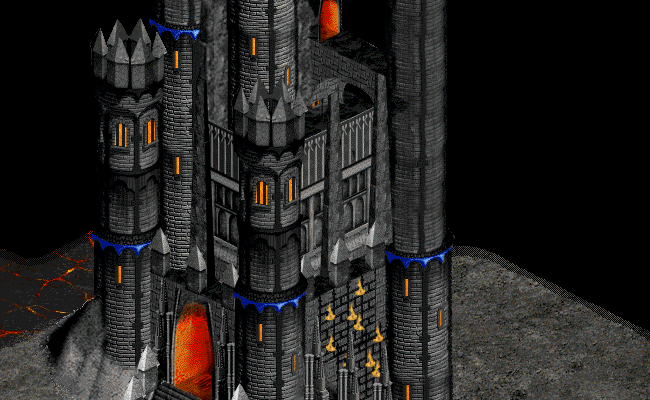 Vampire Citadel (CTRL+Y): Main building where you can summon your Vampire King (Dracula or Lilith), age up, create your Necromancer, some lesser vampires and research few, but important technologies. 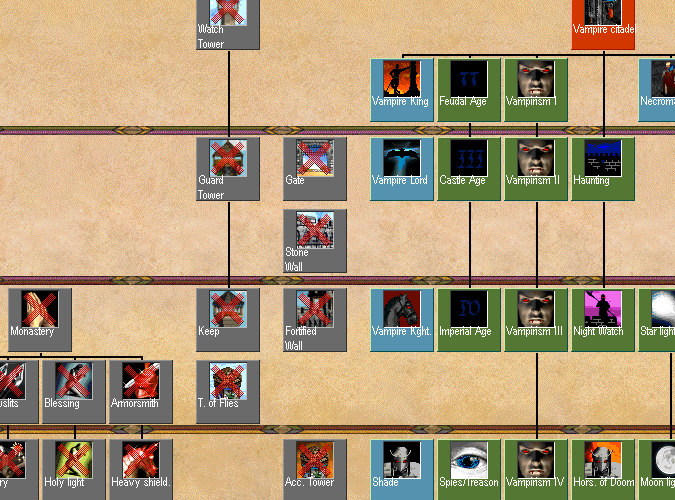 Your Vampire King is a slow, but really strong unit with really fast health-regeneration. You can summon him only ONCE, but if he dies he not die fully. He will resurrect with a huge explosion and fight again! But every death will reduce your buildings hp by 3333. This means your 3rd death will means you will lose all your building and at 4th death you lost the game. 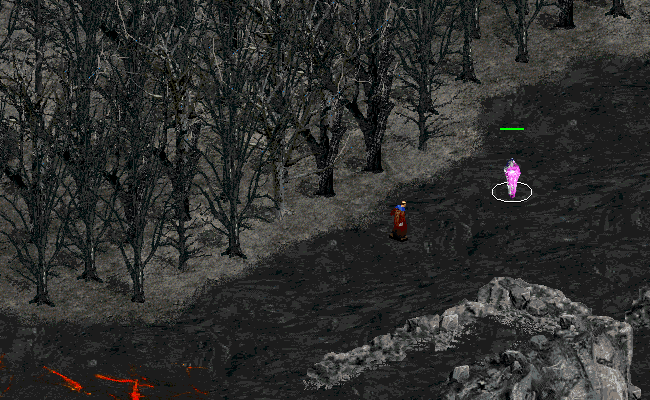 Necromancer (unholy monk) is important by being able to pick up Soul fragments. 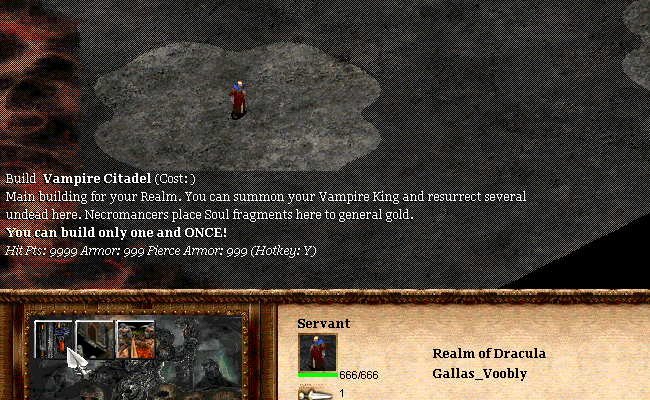 Soul fragments are like relics and can be placed into your Vampire citadel to generate gold. Gold will be used to reanimate undead and upgrades/researchers. 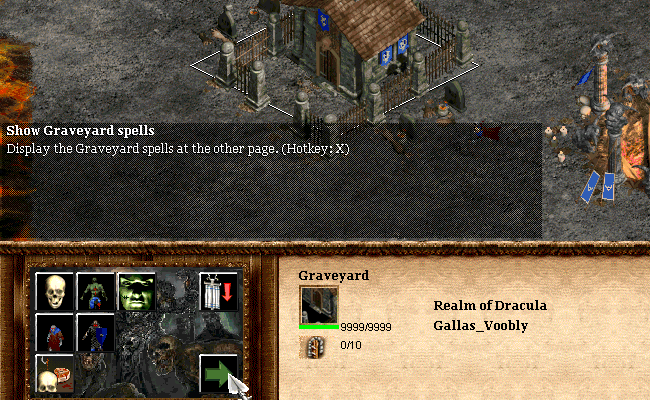 Graveyard (CTRL+D): Reanimate your undead, trade with the other vampire by your Head merchant (trade cart-like unit), research technologies, and more important, (from Feudal Age) it have a second page and you can use your Unholy spells to make your army stronger. 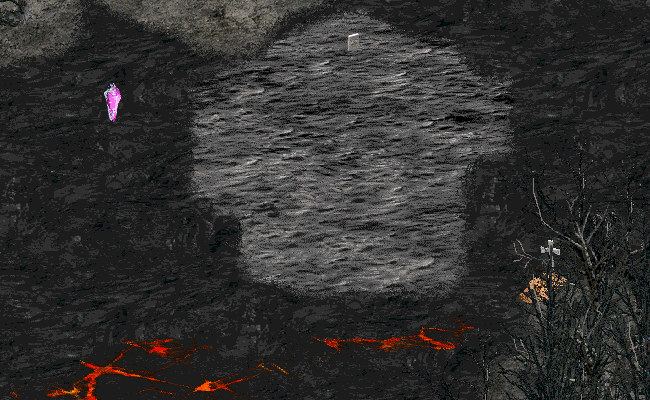 Hell pit (CTRL+K): You can summon Demons from here. Every Demon cost food and each have own strength and weakness. Make sure you read the tool-tips or the tech-tree to be familiar with them! 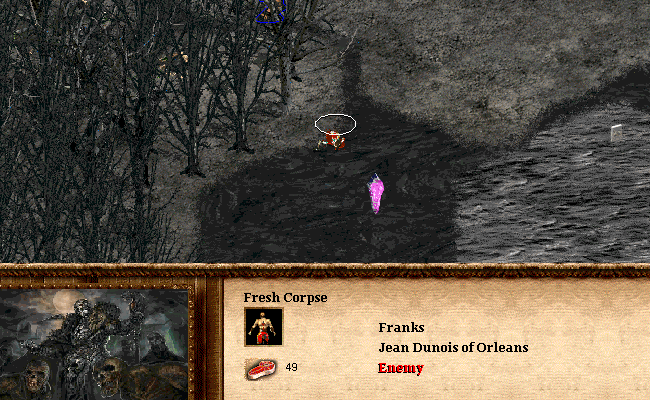 You can collect food by corpses, graves, Blood fountains around all over the map. Every object have random amount of food at the begin of the game, but it's decaying by time. Only exception is the Blood fountain, which is a capture-able object, which generate small amount of food to the owner by time. There is one more source for food: kills. 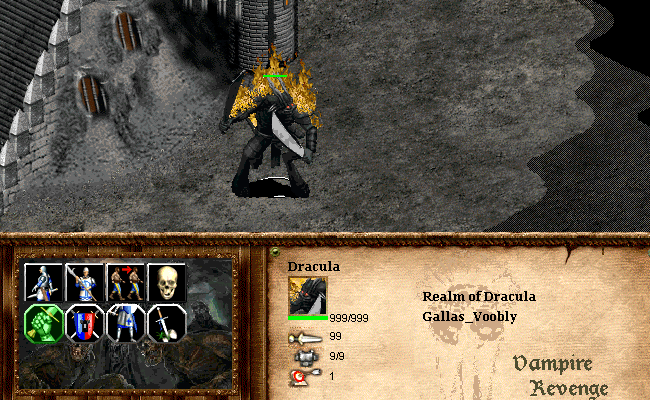 Every killed human is a gather-able corpse for all vampire, undead and demon! 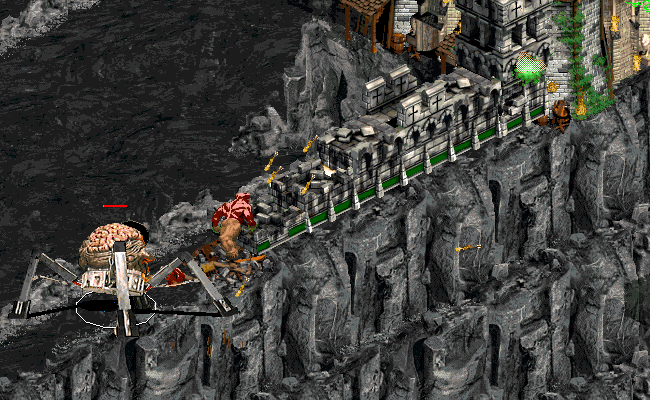 In short: Make your 3 buildings, start summon your Vampire King, then make Necromancers to pick up Soul fragments and place them into your Citadel to generate gold. 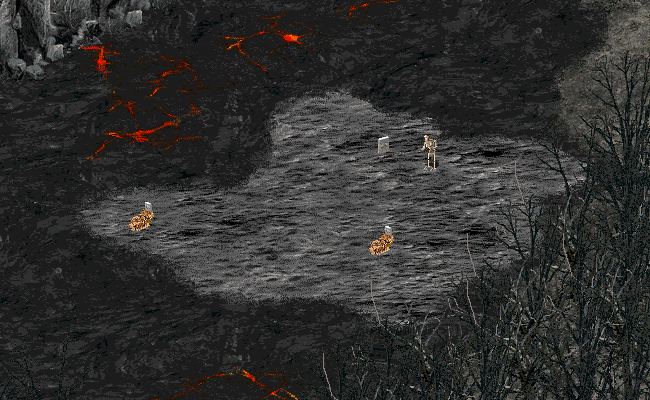 Locate graves, corpses and other food sources to summon demons. Find your preys and hunt them down! If they are too strong, try not to waste your units, but upgrade them in your buildings to return as even more powerful! - danielpereira's PCM III for "Levy trick"
Can we do 2 hunters? Yes ofc! Number of the hunters is not limited. Could you please provide a recorded game, so I can analyze the match? 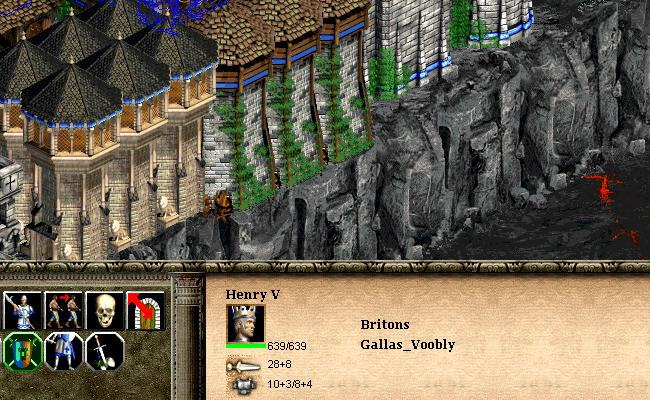 Gallas, another awesome mod. Good job. I think 0.4 gold per second is not enough. You should add some researchs to increase the gold generation. Or just buff it. Towers and some hunters are OP in my opinion. They need some balance. Not sure if buffing the mining camp is that great, I'd rather do with Monastery instead. 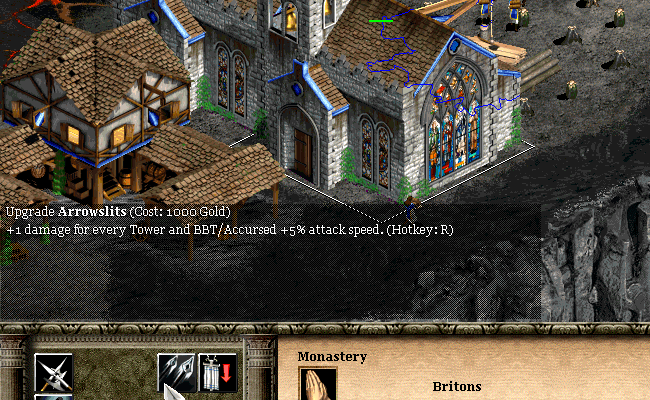 You know, not just mining camp make gold, but Monastery and Wonder too. Team bonuses could be great, but I tried to not change too much human civs at the begin. For a good balance I need to see as much match as possible. Just to compare, Sheep vs Wolf is played daily and years of progress behind it, while this mod just came out now. I still remember how SvsW had not just gamebreaking-bugs, but serious map abuses and took months to polish it enough to be fair for both wolves and sheep and still can't say it's 100% fair.